John Heaning is uniquely qualified to offer buyers and sellers the many benefits of his varied experience. A US Navy veteran, he served our county for over 26 years, retiring as a Command Master Chief (E9). Subsequent to his military service, John moved to St. Lucie County and launched Heaning Home Inspections, a successful business he led for 16 years. John decided he wanted to branch out further in the real estate field and obtained his real estate license. He represents both buyers and sellers and looks forward to assisting our military veterans with his expertise. In addition, when a homeowner signs a listing contract with John, he will offer a free home inspection, which allows the seller to discover and correct any problems proactively, facilitating a smoother sale and closing. 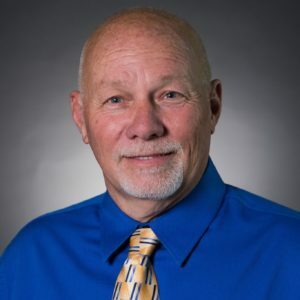 John has been an active affiliate member of the Real Estate Association of St. Lucie County (RASL) and the Realtor Association of Martin County (RAMC) and has served on several boards. He received the Humanitarian of the Year award from RASL in 2013 and has been awarded the honor of Affiliate of the Year, both personal and small business. He is also a member of the St. Lucie County Chamber of Commerce (past Board Member) and completed their Leadership program in 2003. John is communicative, detail-oriented and thorough—qualities that help ensure your transaction is as seamless as possible. John is happily married to his wife, prominent criminal defense attorney Karen Tufte (Heaning). When he is not hard at work he enjoys boating, golfing and traveling.